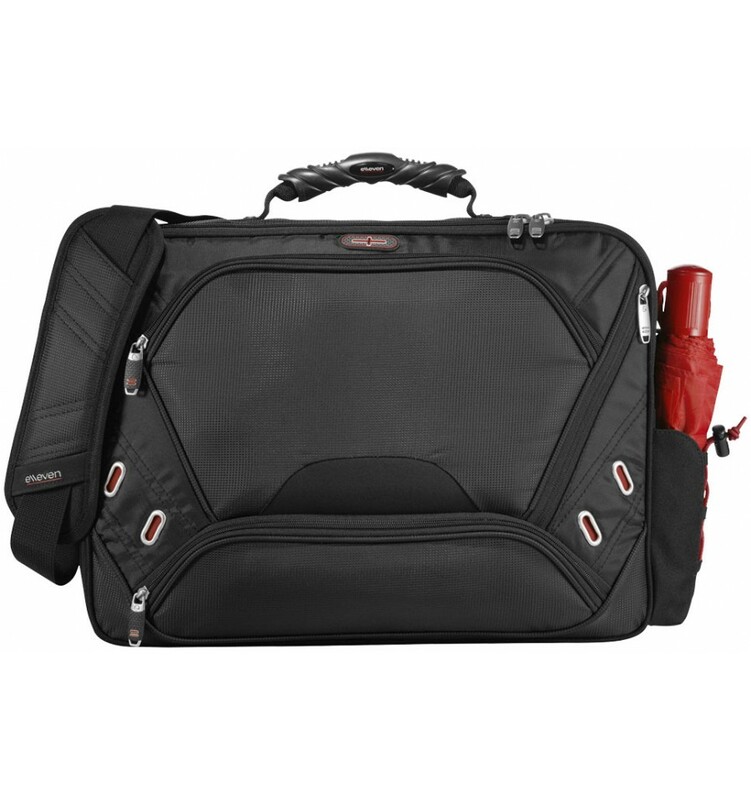 Proton checkpoint-friendly 17" computer attaché. 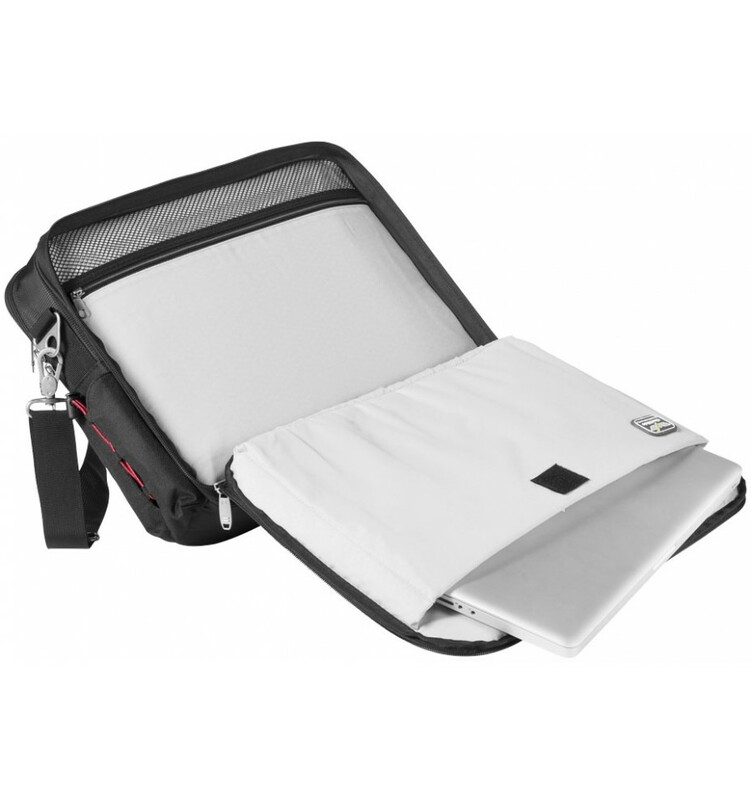 Designated laptop-only section that unfolds to lay flat on the X-ray belt. 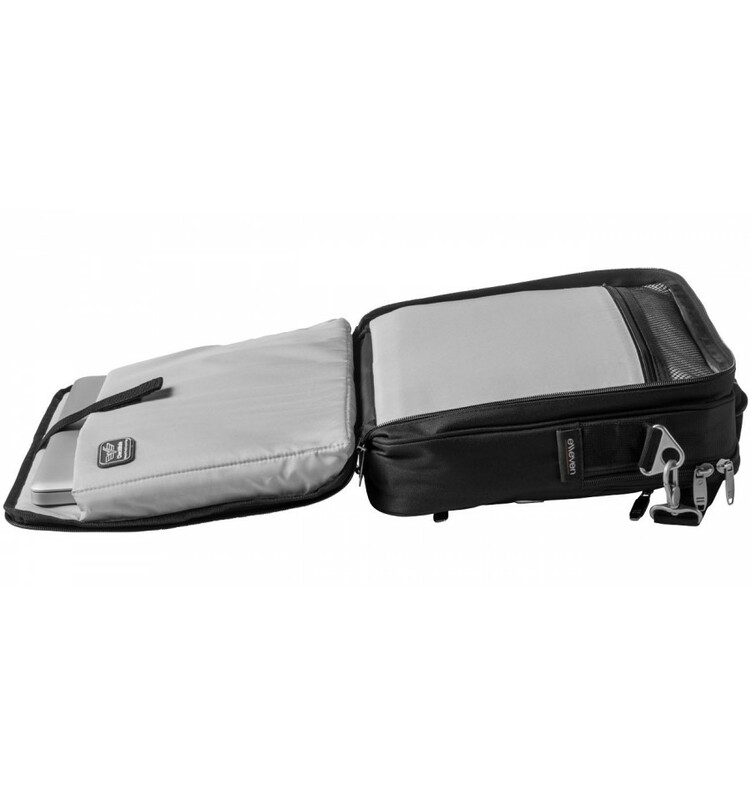 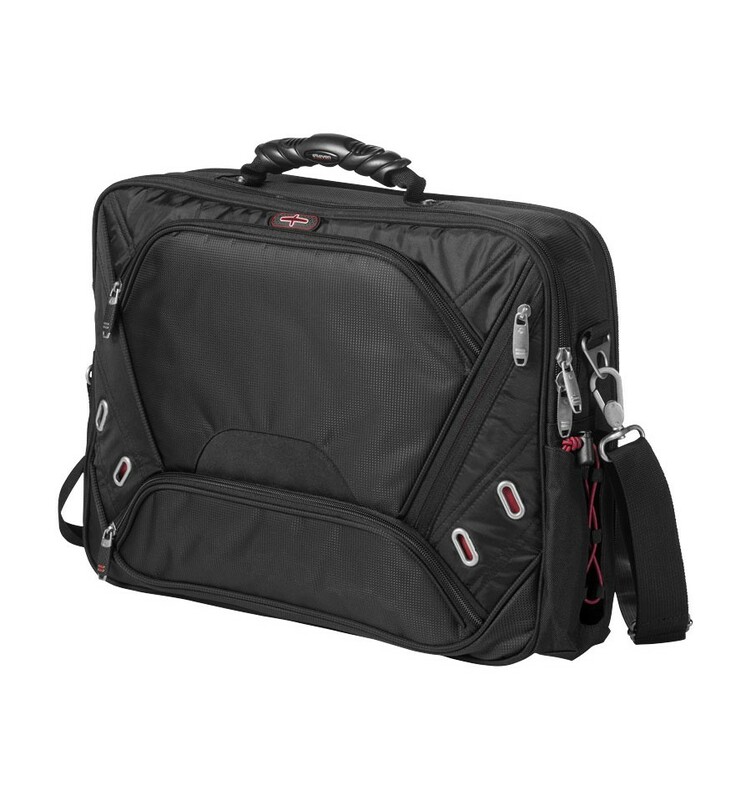 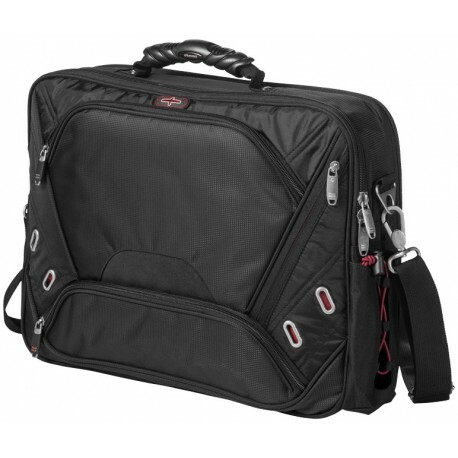 Back zipped compartment holds up most 17" laptops and has separate zipped pocket. 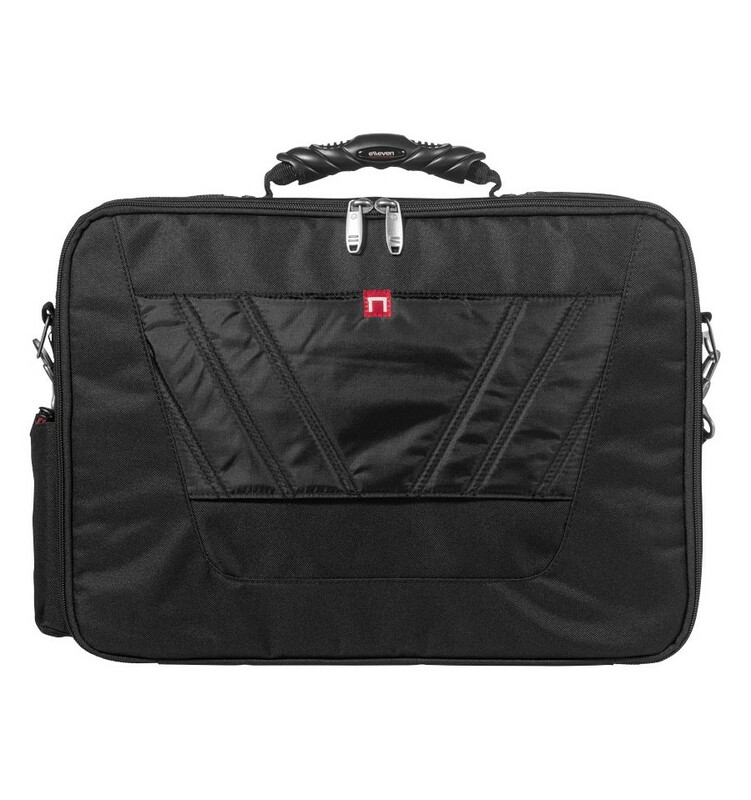 Main zipped compartment for file dividers and mesh pocket organiser. 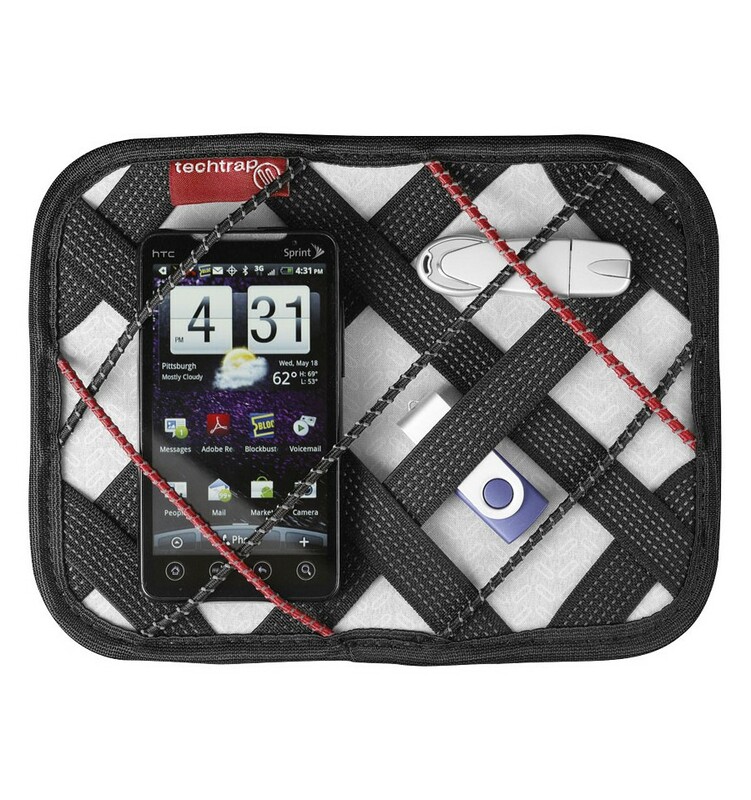 Front zipped pocket holds the removable techtrap elastic organiser panel. 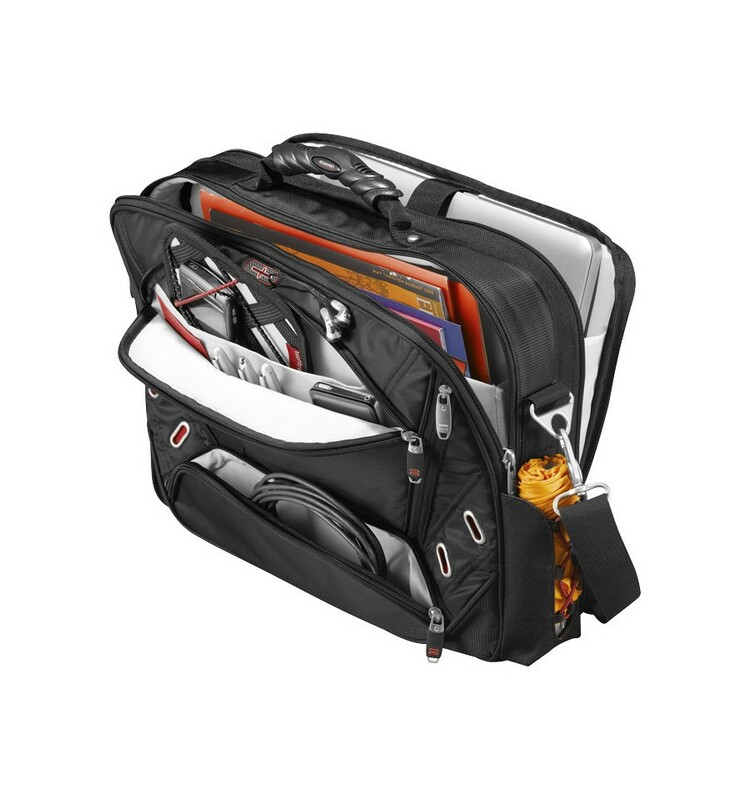 Elastic shock cord on exterior side pocket for additional storage. 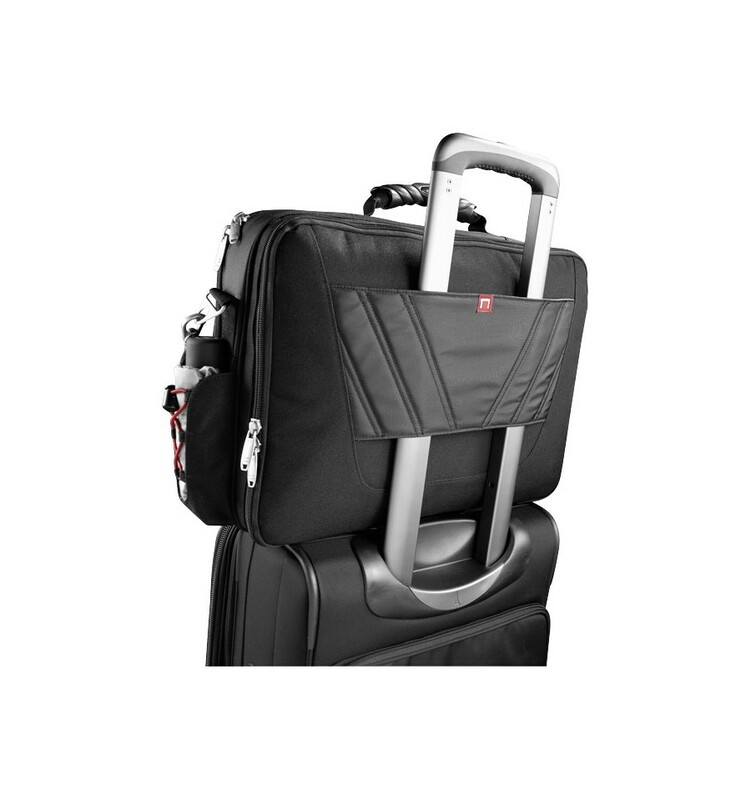 Moulded handle and padded, detachable, adjustable shoulder strap.